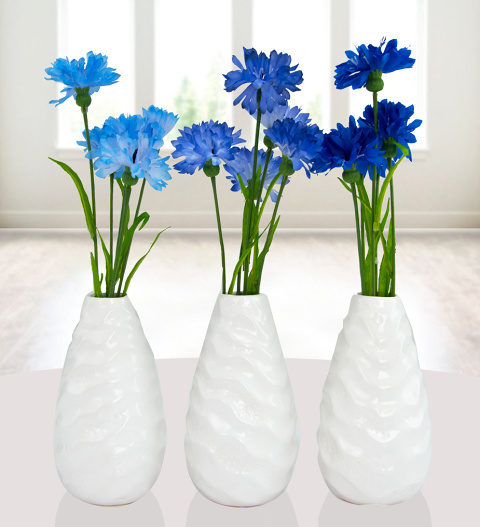 Our expert team has put together this beautiful trio of silk cornflowers in ceramic vases. Not only will their bright hue create that wonderful sense of calm, but they will also add plenty of colour. Display all of these bouquets together or separate them and display around the house. Treat yourself to these high-quality silk blooms or surprise somebody special with a delightful silk flower delivery for any occasion!